Shopping for Crayola Tin Totes? Keep your crayon collection organized and ready-to-use! 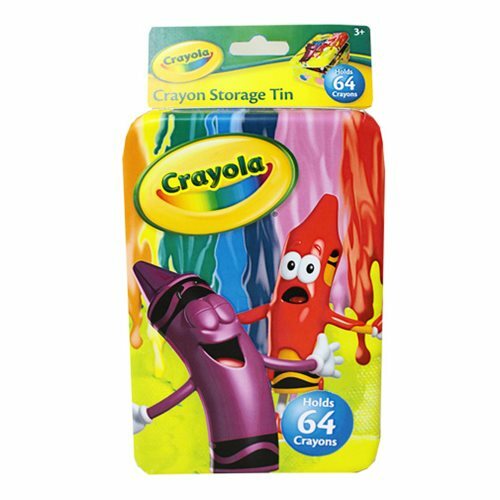 This Crayola Large Crayon Storage Tin Box holds up to 64 crayons! No more mess with your Crayola crayons with this awesome and useful storage tin! Measures about 6 1/4-inches tall x 4 1/4-inches wide x 2-inches long. Ages 3 and up.